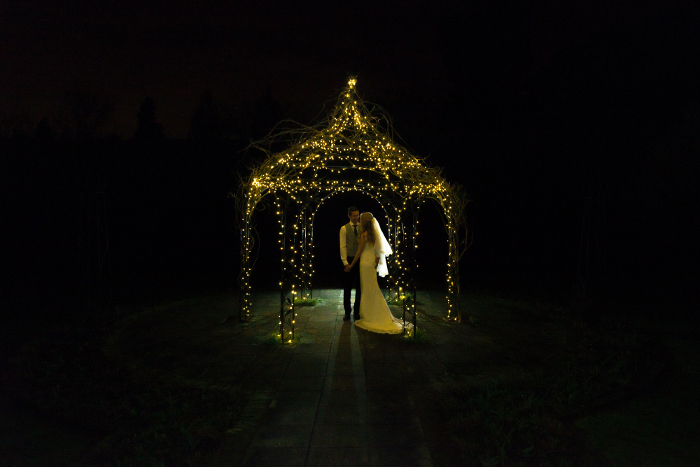 This week’s winner is Belle Momenti Photography with this enchanting image of Kara Droy and James Juggins, married at Gaynes Park in Epping, Essex. The image will feature as Bride’s Facebook cover photo for this week, and on the Facebook pages of its portfolio of Bride titles nationwide, from Dorset, Wiltshire & Hampshire Bride to Norfolk & Suffolk Bride magazine. Don’t forget to follow us on Bride’s Facebook page. Like what you see? You can see more of Belle Momenti’s work here: www.bellemomenti.com. If you’d like to be chosen as Bride’s Wedding Photo of the Week, you can see full details on how to enter here. While the camera isn’t everything, it is fascinating to see the breakdown of cameras and lenses for the Emmy for outstanding cinematography this year. It’s always fun to look at the best cinematography Oscar nominees or SXSW filmmakers to see what cameras they are using, and we couldn’t help but have the same curiosity about the nominees for Best Cinematography for a single-camera show at this year’s Emmys, announced this afternoon. The situation is pretty similar to the Oscars—about 2/3 Alexa and 1/3 RED​. We see mostly very established lens platforms (Zeiss Ultra or Master Prime, Cooke S4, and Panavision Primo), which makes sense; considering the large volume of footage shot and the tightness of a TV schedule, working with less consistent older sets of lens that need more time in grading to match isn’t practical. Of course, the feature awards rely on similar lenses, with the exception of the film projects like Carol and The Hateful Eight, which went not only for film, but also lenses with more personality (Speed Panchros for Carol, and Panavision APO Panatar for Hateful Eight) and the added workflow associated with such choices. The biggest surprise is that Sony is still out of the running in the Best Cinematography category. This must be frustrating for a camera company that dominated the television realm for a long time, and it’s especially surprising considering how hard Sony is working to take back some of that market share.  The company is also making cameras beloved by some exceptionally particular and talented DPs in the feature space (Claudio Miranda with Oblivion and Vittorio Storaro with Cafe Society, both shot Sony), and has a presence in the type of prestige TV that often gets nominated (Marco Polo, Preacher, and Mozart in the Jungle all shot Panavision Sony, for a start). But Sony just doesn’t seem to be cracking into the shows that get cinematography awards for a single camera. Even on 4K platforms like Amazon and Netflix, which until recently ruled out the Alexa, the nominees’ choice was consistently the RED Epic Dragon over Sony. David Fincher‘s (House of Cards) longstanding affinity for and relationship with RED is clearly a factor, but The Man In The High Castle cinematographer James Hawkinson made the same decision. In practically every case, most shows take at least a partially hybrid approach, mixing multiple cameras and lenses; because of this, we have listed only the primary platform below. While nobody shot with the Arri 65 (probably not necessary for TV), it was often a mix of Alexa M, XT, ST, or classic on an Arri show, or Epic Dragon and Scarlet Dragon on a RED show. Even on shows that chose the Alexa for A and B camera, sometimes the C camera would be Epic Dragon (we’re looking at you, Homeland), probably chosen for its easy of mounting and slo-mo abilities. The primary platform tends to be what is used to set the look, and the secondary cameras are tasked with fitting into the look created on the primary platform. Lenses: No info currently available. What did you think of the nominations this year? Directors and actors are often given credit for a film’s success, while writers, composers and cinematographers often go unnoticed as background contributors. Without a screenwriter, a movie would just be movement, and without a cinematographer, a movie would not would not jump off the screen and trigger your imagination and appreciation for art. I often think about the lesser-known movie makers — the screenwriters, musical composers, and everyone behind the camera and in post-production that come together to make a movie whole. Making a good, let alone a great, movie is hard to do because there are so many hands in the process. It’s like an assembly line, starting with script being written and purchased by a studio or production company. Then studio executives seek a director, actors and actresses they envision in the lead roles. It’s a process in which everyone working on it has to be on the same page. When I think of the process, I often look at various aspects of the movie, from how the cast acts, to the music swelling in the background, but at the end of the day, I always come back to the look of the movie, sometimes in awe of the picturesque landscapes, vivid colors and perfect framing with deeper meaning. Those images can do many things, most of all evoke emotion. That is what a cinematographer does for me, and in my case, just like actors, actresses and directors, I have my share of favorites. When you watch enough movies, you get a sense of cinematographer’s visual style. Some like to shoot big sweeping scenes with a crane and wide lens, while others like to shoot with hand-held cameras and give people a gritty sense of texture to the film. One of my favorite cinematographers working today is Emmanuel Lubezki, who was behind the camera for the dazzling visuals of “Gravity,” “Birdman” and more recently, “The Revenant.” By the way, Lubezki won an Oscar for best cinematography for each of those films. 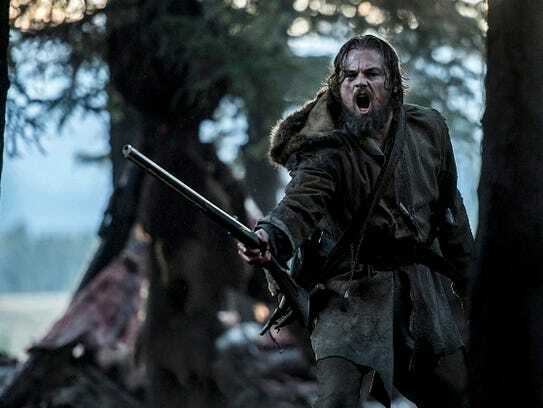 Each of Lubezki’s movies seems completely different, one a space thriller, another a grounded-in-reality drama about a washed-up actor hoping to break the stigma of a superhero, to “The Revenant,” where Lubezki is tasked with re-creating a 19th century landscape of the American frontier. The Mexican cinematographer excels in each film, creating a cinematic beauty of singular shots, simple but elegant tilts and pans of the frontier, and elegant tracking shots that were stitched together in “Birdman” to give the appearance of being a single camera shot throughout the movie. Lubezki also provided his unique style in “The Tree of Life,” one of the best films of the last 25 years, and it is mostly because of the movie’s beautiful photography. The images Lubezki captures on the screen that bring a world to life. In total, Lubezki has been nominated for eight Academy Awards, winning three times. I like cinematographers who challenge themselves, not just in techniques but in using images in the frame to create symbolism and deeper meanings about life, and how we interpret what we see on screen. Other cinematographers bring their own unique vision to their movies, and in many cases you can see why directors often pair themselves with cinematographers on numerous projects. Steven Spielberg is considered one of the greatest directors of the past 50 years, and he is often tied to the hip of cinematographer Janusz Kaminski on his films. One shot that stands out for me from Kaminski is his work on “Minority Report,” and one scene in particular towards the end of the film. Working with the cinematographer, Spielberg and Kaminski frame a shot with Tom Cruise’s character John Anderton and Samantha Morton, who plays a “pre-cog” named Agatha, a psychic able to predict murders before they happen. In the scene, Anderton is working with the pre-cog to determine why his name came up as a prediction to commit murder. The two are hugging — as Agatha is generally in a pool of nutrient water and needs Anderton’s help to balance — and facing in opposite directions as Anderton assures Agatha he is not going to murder someone he’s never met before. To view Kaminski’s shot, click this link. As the two converse, they stare off into the distance in their respective direction, and the shot is confusing, beautiful, haunting, seamlessly lit and yet powerful enough to sum up the confusion Anderton is feeling as he runs from the law he once upheld that will stop at nothing to arrest him before he kills a man he has never met. The movie, released in 2002, was the perfect summer entertainment, and with gorgeous shots from Kaminski it remains a favorite of mine from the past 20 years. While good film editing is about not noticing the cuts or the transition, good cinematography is the exact opposite. You want to see the images, the beauty of the landscape, and ultimately, you want that cinematographer to manipulate the images in the frame to enhance or further tell the story on screen. Robert Richardson: Both “Kill Bill” movies, “Hugo,” “The Aviator” and “Django Unchained.” Often works with Martin Scorsese and Quentin Tarantino. Wally Pfister: “Moneyball,” “The Dark Knight,” “Inception,” “The Prestige” and “Memento.” Has worked a lot with Christopher Nolan, but has moved on to directing. Meet 2017 ACS Cinematographer of the Year Abraham Joffe. He is modest, inspiring and very happy. Abraham Joffe offered exquisite images of animals and vistas and him against a sand dune. But I think this picture, brutally cropped to our standardised shape, says something about his sense of joy. The Cinematographer of the Year Award for 2017, the key honour from the Australian Cinematographers Society, went to Abraham Joffe. He is in extraordinary company since last year’s winner was John Seale, fresh off Fury Road. His project, Tales by Light, is a 12 episode series of half hour films, each about a different wildlife filmmaker or team. This award cites Darren Jew: Submerged. It was shot in association with Canon and broadcast in 2015 by National Geographic and seems to be on Netflix now. He also picked up an Award for Distinction in the wildlife and nature category, and a Gold Tripod for documentary, with the Distinction in that category going to Dan Jackson for In the Shadow of the Hill. As national president Ron Johanson OAM ACS said, ‘We’ve done this before. David Parer out of the ABC won this three times. Peter De Vries won for a documentary on rats in New York City. The main reason is the incredibly high standard of Abe’s work. Joffe trained modestly at North Sydney TAFE. ‘Straight out of tech I went to work for Michael Douglas, my idol. And then to David Ireland on diving. It one hundred percent fuelled me creatively, but it was tough to make a living’. He started his Sydney production house Untitled Films in 2000, which is thriving partly on wedding videos and corporate work for Canon, working partly with people from TAFE courses. Canon Master Abraham Joffe from Untitled Images on Vimeo. His own work has mostly been in a team of three, with a lot of travelling. ‘Everyone is multiskilled and wears a lot of hats. We can all shoot and direct and drone and run sound so we can rotate between roles when needed. At least the demands of moving images demands a group. Most of the people he documented for the series ‘were quite solitary. Most of them had never had a camera crew following them around. Very few people had experience in front of a camera.’ Those that did, however, were very comfortable with the process. He is leading an extraordinary life. He has walked the Kalahari Desert with the Masai, and filmed divers giving tiger sharks a nose rub, and faced the despair that comes from filming the ruins of a natural world violated by desperate people. ‘It mostly seems to be bad news, but I love that quote, “It is better to light a candle than curse the darkness.” I am so happy when I meet a group of people who are really getting out there and hitting goals and doing amazing work. At the end of 2016 he started Awestore, which uses the skills of a wildlife photographer to provide intense encounters to wildlife around the world for tourists. He sees it partly as a way to give back to the guides and fixers who are so valuable and generous to him on location. The whole list of ACS winners is here, with a collection of showreels.